A former pro-hockey player must fend for himself after becoming stranded on a mountain. Josh Hartnett may be the George Raft of this generation, known best for the roles he turned down. More than 10 years since he passed up opportunities to play Spider-Man, Batman and Superman, Hartnett is Eric LeMarque. A former pro hockey player, LeMarque has struggled with retirement and is facing a drugs charge when he goes up the mountain with his snowboard. A reckless decision to take an unsupervised course during a storm leaves LeMarque stranded and exposed to the elements. A lasting problem of 6 Below is how rote the plot is; there is not a single moment in the film that comes as a real surprise. The film's subtitle 'Miracle on the Mountain' belies the fact that this is not to be a tragedy, and that we the audience are going through the motions of Hartnett feeling cold for 90 minutes. Director Scott Waugh makes heavy use of GoPros and drones for filming snowboarding shots, yet however he captures the shots there is rarely an inventiveness onscreen. The persistent whiteness of the mountain over-saturates the eyes, and the constant choral score drowns the ears. This is a shame, as Waugh uses his experience with stuntwork and directing Need For Speed to assemble a number of the set pieces with aplomb. Most notably this includes helicopter search and rescue sequences in which Sarah (Sarah Dumont) at base camp comes tantalisingly close to finding LeMarque. There are a few points of immersion in the story, notably a moment that ignited my own greatest fears when LeMarque falls through ice. Yet as a character, LeMarque doesn't confront his situation with any particular imagination. He's never forced into the horrifying self-sacrifice of Aron Ralston (James Franco) in 127 Hours, nor does the film have the terrifying resourcefulness and consuming morbidity of Touching the Void. LeMarque suffers because he has to, in a manner often no more engaging than a rat on a sinking ship. If the bulk of the mountainside action is taking a blue square route, this is an improvement on the flashbacks dotted throughout the film. As with the mountainside, it's all filmed flatly, both visually and thematically. The domineering father and long-suffering mother are familiar tropes, and how this relationship might evolve as LeMarque grows up isn't explored. In the drive to tell an all-American tale of redemption, 6 Below also leaves out interesting tidbits, such as the real-life LeMarque using his dual citizenship to represent France in the '94 Olympics. A point of connection as LeMarque wastes away on the mountain should be his mother, Susan (Mira Sorvino), who clearly loves him very much, but she comes across as so soppy and one-dimensional it's hard to avoid a vague irritation with her. I was more interested in Sarah and the mountain operation, and would hope to see Dumont in expanded roles in the future. If you're a lover of inspirational memes or fancy the idea of Hartnett nibbling bits of himself, this film is for you. 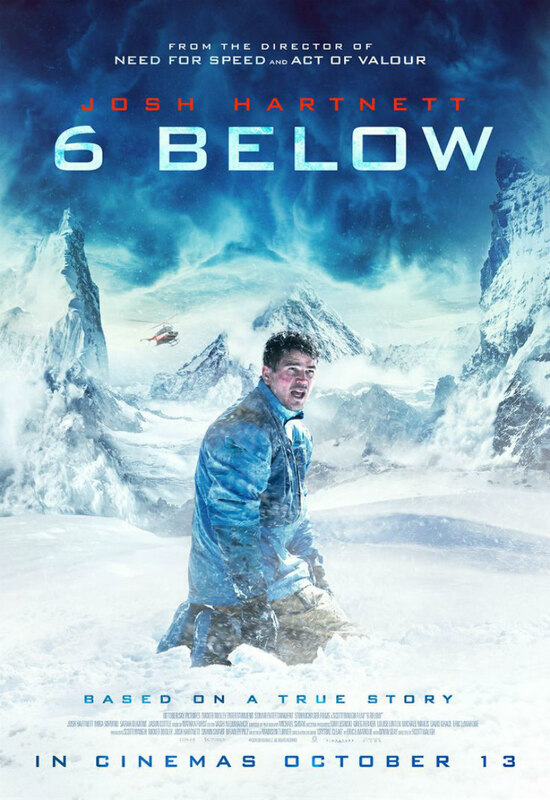 Otherwise 6 Below will provide you with very little sustenance. 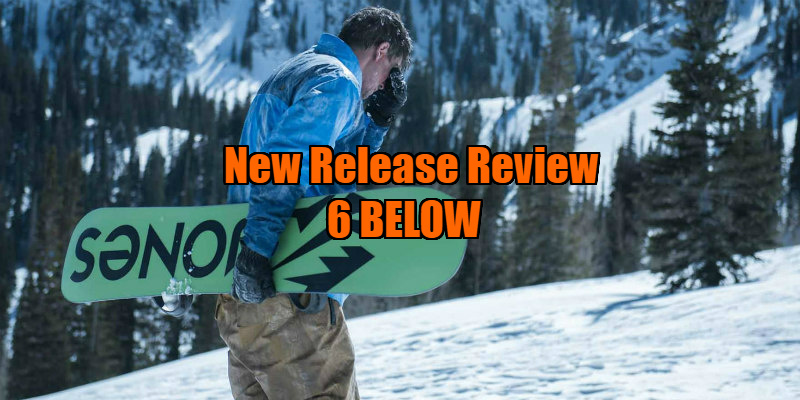 6 Below is in UK cinemas now.